We know how important reducing energy costs and protecting your home is to you. Keep your home insulated with Prodigy® Insulated Siding, manufactured with Single 7, D6 Clapboard, and D5 Dutch lap, which will help you cut your energy bill for good. Wrap your home in 1-1/4” thick contoured insulating underlayment to save money, protect your home and keep moisture out. 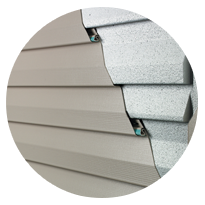 Our 4000 Energy Plus Vinyl Siding is the perfect way to cut down on energy costs and ensure your exterior breathes freely while still looking great. 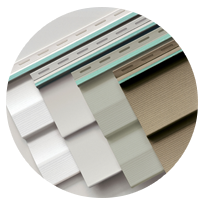 Forget everything you thought you knew about vinyl siding. 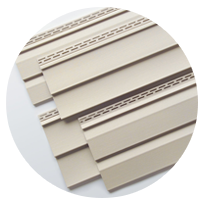 Our 4000 Reinforced Vinyl Siding is a true showstopper. Its incredible advanced locking technology holds strong during even the most severe weather like category 5 hurricanes! 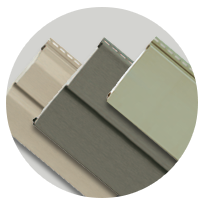 If you are looking for the most cost-effective and low-maintenance exterior solution, allow us to introduce you to our 2000 Vinyl Siding. Add instant curb appeal with minimal effort. Its premium .044” thickness and durable lock design ensures superior rigidity, keeping your exterior looking straight, smooth and fresh. And, it is manufactured with premium materials that are sure to last for years to come.